Resize MOV Video in three steps. 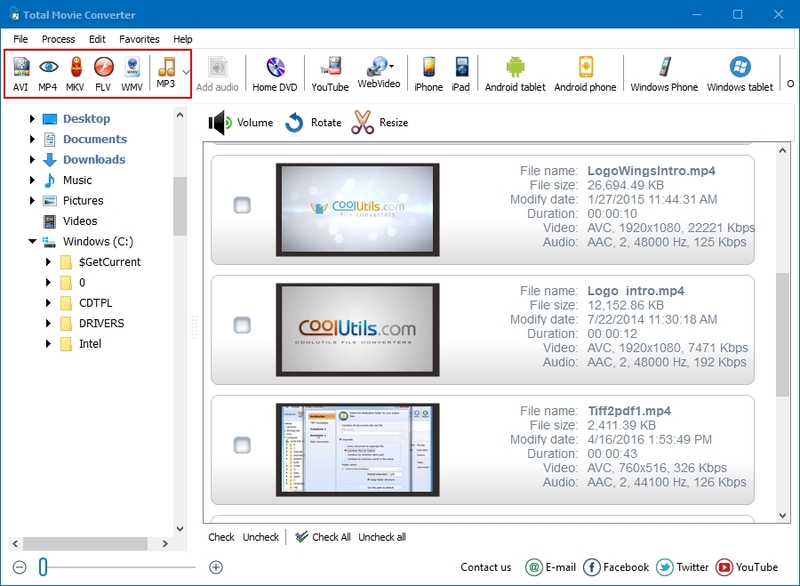 You are here: CoolUtils > Total Movie Converter > Resize MOV Video in three steps. Resizing AVI videos is very popular need for movie fans who are used to play their favorite films in different devices. Portable players or netbooks and smartphones with small screens usually do not require tracks with big resolution and have limited memory space. This makes storing HD videos unsuitable. In this case it is reasonable to make AVI video smaller reducing the size of a video frame. Mention that Total Movie Converter is capable of modifying files that are already in AVI format, as well as convert other format to AVI in a new size. Press Start! button to resize AVI video. 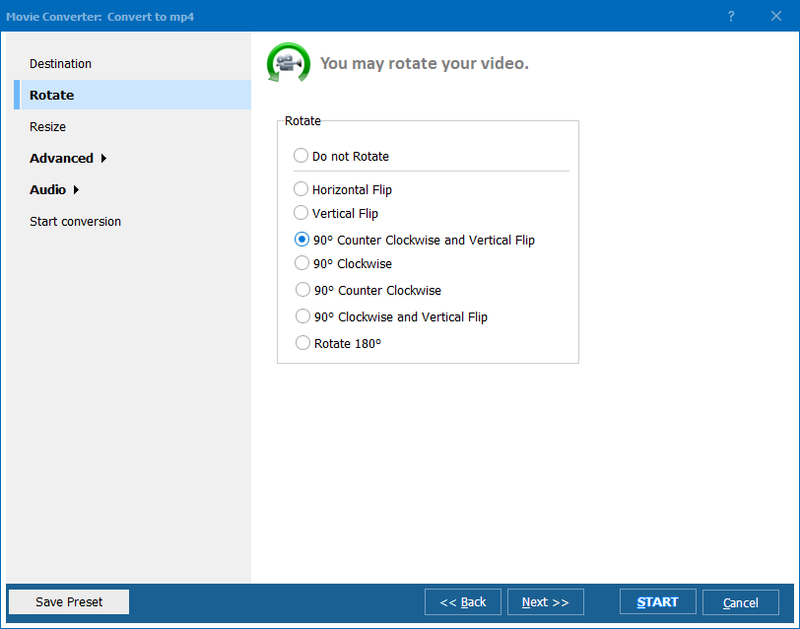 Among the optional parameters you will find ability to combine all chosen sources into one video, select specific codec, rotate video to different directions, choose quality level, frames per second rate and many other useful features. Facilities of this AVI converter allow reduce the file size with minimum loss in the quality of playback thanks to advanced pack of settings. If resizing is not enough to gain desired file size, you can always use other cutting size options. You can reduce video size changing the resolution proportionally or resizing only one dimension, leaving another unchanged. Also you can choose one of predefined sizes, if they fit your needs. To set this video converter to disproportional resizing, take off the mark from Constrain proportions option in the Resize inlay of the wizard. Total Movie Converter is mostly used for changing the file format of videos. However it has a useful bunch of additional features like resizing or compressing videos that help to make them handier in use. Try its resizing feature for free – the utility is available for 30 days free use!